Set of 3 Gold Palm Leaves. 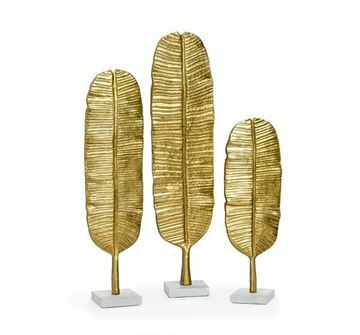 A trio of gold-finished metal leaves becomes whimsical, stylish sculptures when they're displayed on white marble bases. 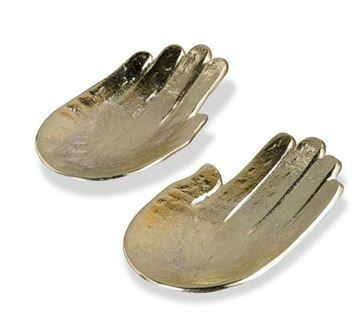 Perfect for holding mementos, these brass figures make for a versatile and stunning extra pair of hands.